Types of Logo & Their Relative Merits Where to Begin? Logo in Greek means word. While some logos are indeed based solely on the name of a company, the term has come to have a much broader meaning. There are perhaps seven or more different kinds of logo and some hybrids. The first thing I do with a new client is explain this and compare it to their needs in order to define the field of exploration. As soon as a company decides that whenever its name appears it will be in the same font, it is the beginning of a consistent identification. An example of this would be J.C. Penny. Initials such as PPG or a monogram, e.g., PSK (Pagano Schenk & Kay.) There are probably far too many initials out there to make that an appealing choice. The initial letter emphasized and made unique - Olin Matheson Chemical Company, which L&M improved by shortening to Olin. The initial abstracted and perhaps semi-legible. This now requires the name of the company appended to it, the first two-piece identifier, sometimes disadvantageous in tight spaces. Examples: Veri & Sharp and Angela Moore. An abstract, or better, non-objective mark such as Nike (which I didn't design). Takes a lot of advertising but wonderfully effective when established. Only then can it be used without the name of the company. A pictorial mark like the mermaid I did for Clarke Cooke House, Newport. 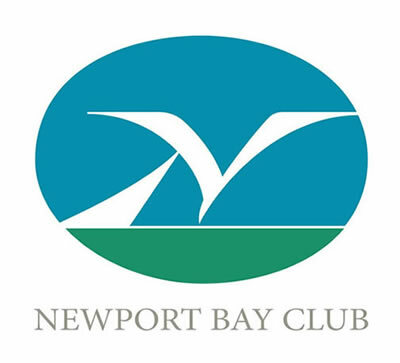 A hybrid might be a letter that also looks like a thing; a sort of visual pun as in the Newport Bay Club abstracted seagull and sail. Each of these approaches has advantages and disadvantages. The name alone is immediate and unequivocal - good for new ventures but not really practical if the name is too long. The abstract mark, bold as a flag, easily reduces to small sizes, but takes time to establish. The pictorial mark, perhaps atmospheric and nostalgic, may not reduce well if too intricate. The strongly designed initial is removable for solo use or may be combined with the name, and so on. Understanding these differences and the unique qualities of a company that distinguish it in the marketplace form the foundation of successful logo design. Choosing a logotype for your company can be difficult but choosing a designer should be simple. Go for experience. Let me see if I can help by setting out some design criteria. To create such a visual epigram is not easy. Ideally if time and budget allow, a logo should be done on a no-stone-unturned basis. You don't want to look at it 5 years down the road and realize that it looks dated or inappropriate. Implementing a new one can be costly - discarding stationery, let alone repainting a fleet of trucks or changing signage. So you want to look at a great many designs before making a choice. Some logos only become truly effective after long usage. Example: an abstract mark like a red triangle (Citgo, Bass Ale) means nothing on the day it was first drawn, but becomes immensely valuable years later. It is possible for a logo that consists of no more than the name of a company in a distinctive font to communicate something about a company. It is also true that a more descriptive device, when used with careful and consistent typography, can be effective. But even a good logo carelessly used with regard to size, color, placement, or a distracting background, can be ineffective. It's very difficult to price a logo design project. No two clients reach a decision with the same alacrity. Moreover, logo problems vary enormously in degree of difficulty. What the traffic will bear should not be a factor, but some weight must be given to the size of the company to be served. The decision-making process can be protracted or even founder entirely. It may be because the design output is inadequate to the task, or because of the client's simple inability to make a choice. Since most of the labor occurs at the beginning of a project, involving production of a great many roughs, the designer must be protected by having received part of the total fee as a retainer. After seeing the initial output, should the client decide to break off and seek help elsewhere, only the retainer will have been expended. If the last seems a bit ominous, be assured that working with a designer who has a long proven track record will more than likely produce a result that satisfies both parties.